Welcome to my website. These resources are free to access. Hope you enjoy your time here. Do what you love and love what you do! 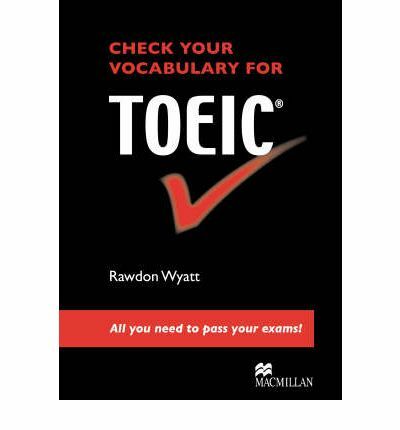 Check Your English Vocabulary for TOEIC is a must-have workbook for all non-native English speakers wishing to expand their language skills in preparation for the Test of English for International Communication. Developing Skills for the TOEIC Test is designed for intermediate-level students of English who need to refine their skills in preparation for the TOEIC test.